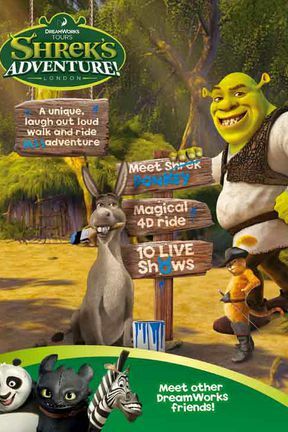 About DreamWorks Tour: Shrek's Adventure! 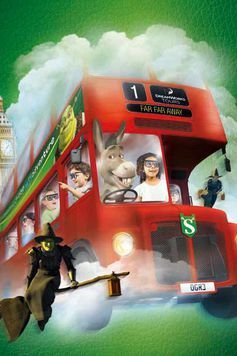 The kingdom of Far Far Away is closer than you think… Join Shrek and his much loved Dreamworks friends in a mad-cap adventure right in the heart of London. 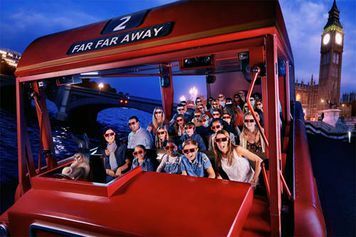 The funniest tour in the world puts you and your friends centre stage as you board a London bus driven by the mischievous Donkey, and with Donkey in control one can be sure that chaos and calamity are going to ensue! 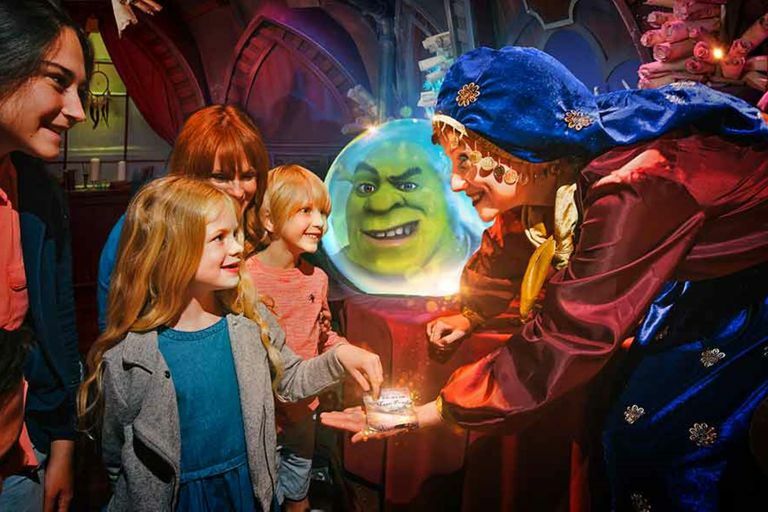 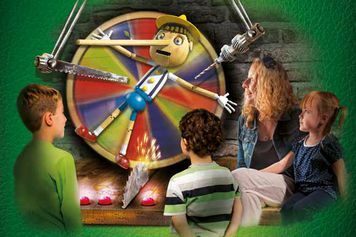 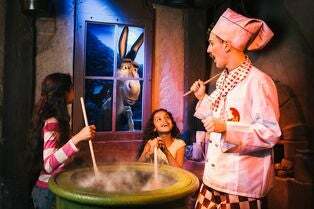 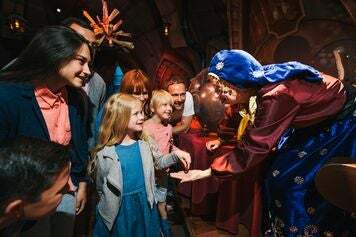 You’ll get the chance to explore the fantasy world of Far Far Away and meet some familiar faces along the way, including Puss in Boots, ‘Gingy’ the Gingerbread man, Pinocchio, the Three Little Pigs and, of course, Princess Fiona. But a fairy-tale adventure is never complete without a villain, and Rumpelstiltskin will do everything in his power to disturb your tour and stop you from getting home to London. 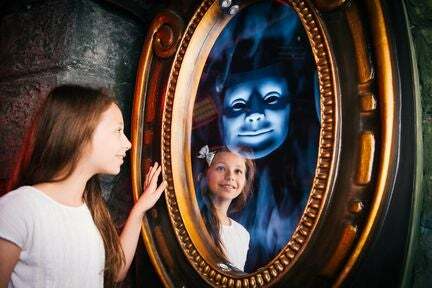 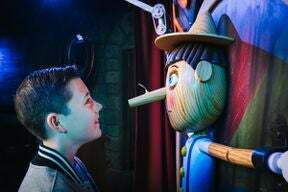 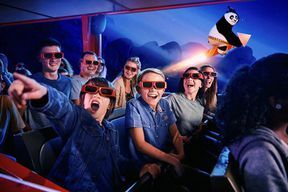 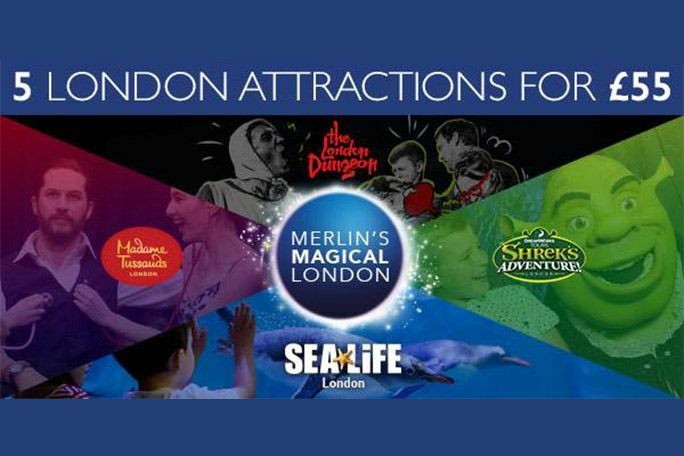 There are 10 fairy-tale themed shows within the attraction, featuring amazing animation and spellbinding storytelling from the Dreamworks team, promising a magical day out for the whole family.